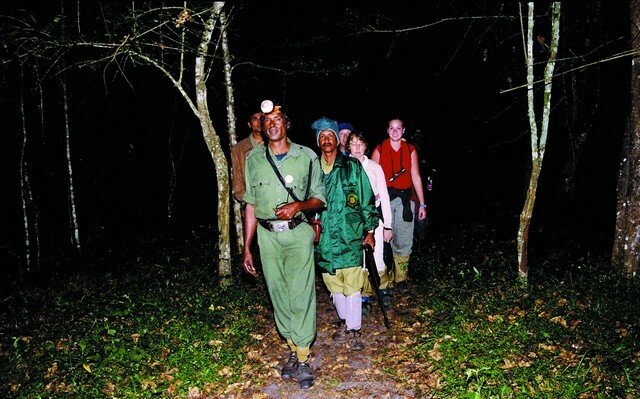 This programme is part of the regular night patrolling in the fringe eco-development zones of the tiger reserve. By participating in this, one is actually helping in the protection of the forests of Periyar. The trekking could be at any time between 7 p.m and 4 am. and could be taken by persons having proper physical and mental fitness to trek through the wilderness in the night. The maximum duration for a slot is 3 hours and maximum capacity of one slot is limited to 8 visitors (to move in two separate teams). They will accompany two protection watchers and one armed forest guard! Try the limits of your senses-sight, hearing and smell and take in the totally different world of nocturnal jungle life.